We all knew the spirit of cooperation had to die some time. And with OPEC at the helm, its days were numbered from the start. Last year, when both cartel members and non-members banded together to cut crude oil output, I’ll admit I was shocked. As much as the world needed it, who knew these combatants could set aside their differences for the greater good? Now that the oil is leveling out, with WTI sticking around $50, the need for active market balancing is waning. At least in the eyes of its biggest players, namely Saudi Arabia and Russia. For decades, the two countries have had the biggest sway of any global oil producers. They had the production numbers and weren’t afraid to use them to their advantage. Then, everything changed when U.S. shale came to town. And now they’re back to competing with each other to get that market share back. Already, both are courting customers in Asia, where oil consumption is expected to grow the fastest over the next few years. But there’s one market that’s been overlooked for quite a while, and now it is seeing a pickup in demand once more: Europe. Oil demand in Europe has been nearly flat, even slipping slightly lower for more than a decade. But in both 2015 and 2016, it picked back up. It’s not half as impressive as what we’re seeing in China right now, but it’s an important switch in attitude, one that could spark a price war across a number of European countries. This year, Saudi Arabia has been offering its crude supplies to European buyers at discounted prices, much like it has to Asian buyers. The reason: Europe is Russia’s territory. 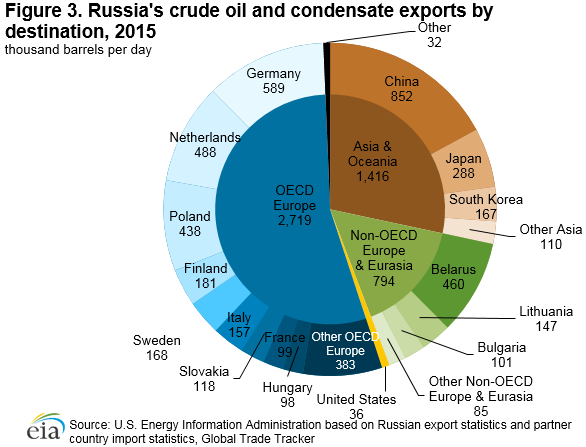 The country supplies more than 41% of Europe’s oil and gas imports, and Europe and Eurasian countries account for more than 70% of Russia’s oil exports. That’s a lot of business on both ends at stake. We’re already seeing a similar situation play out in China... will Europe pick Saudi Arabia over Russia, too? There are a lot of things to take into consideration when buying crude oil; price is just a single factor, if a pretty important one. Another factor that countries take into account when buying oil in bulk is the grade of the crude. Generally speaking, there are two weights: heavy and light. Heavy crude is defined as any oil with an API (density as compared to water) above 20 degrees. That means it’s literally heavier, usually due to an abundance of excess sulfur or other natural contaminants. As you can probably guess, this means light crude is essentially cleaner from the start. 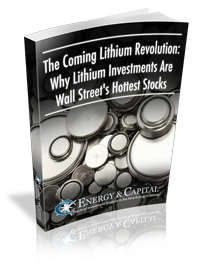 Usually, light crude will fetch a higher price on the market for this very reason. The lighter it is, the easier it becomes for refiners to turn it into gasoline or other petroleum products. Heavy crude is more expensive to refine, so it gets sold at a discount, and only to buyers who have the equipment to handle it. This, I believe, is the only thing keeping Saudi Arabia from well and truly taking over the world. You see, while the country has access to both light and heavy crude, most of its spare production capacity is poor-quality heavy oil. Russia, on the other hand, often exports what it calls the Urals blend. This is a mix of heavy and light crude, both of which the country has in abundance, which comes out to be a medium-grade product with two major benefits: it's still relatively easy to refine, and it's still cheaper than higher grades. What’s funny is that while Saudi Arabia is selling cheap crude to Europe, it increased prices on imports to the U.S. I guess it’s still a little bitter about the whole shale boom thing. The bottom line is that the country knows it needs more business to make up for what it’s losing to U.S. drillers, and it knows which markets it wants to target. Whether or not it actually succeeds — and how this battle will affect the current output cut — is something we’ll just have to wait to see. Will the U.S. Dominate Natural Gas in 2018?